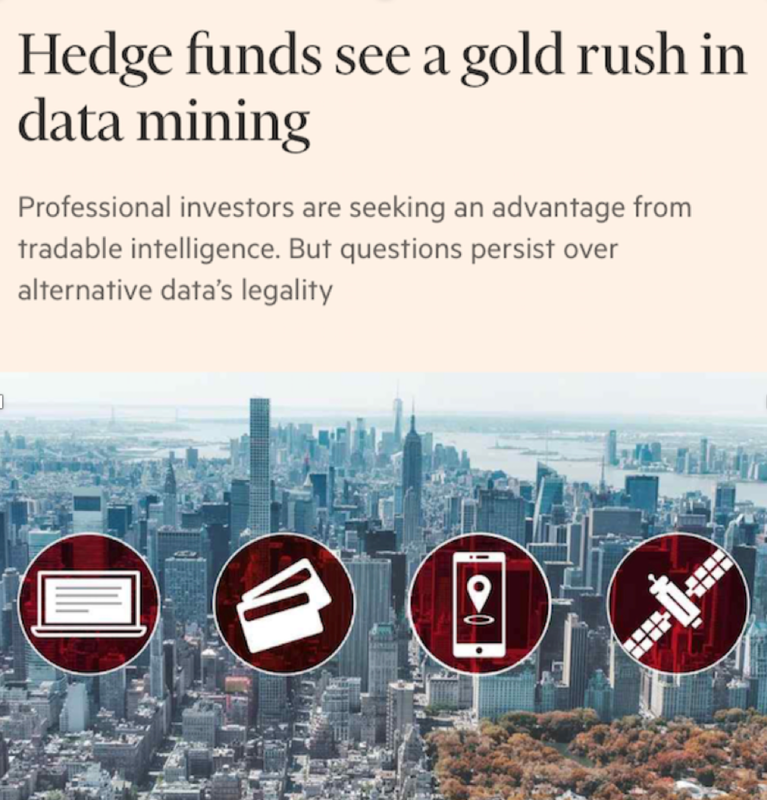 Great piece in today’s Financial Review about the rise of “alternative data” being used by Hedge Funds and others to glean competitive insights on companies they invest in. Here is it big data to the rescue, but as the article suggests, there are multiple legal minefields when companies use “exclusive” data not available to the general public or other investors. On one hand, I’m ok with this. If my fund manager is forward-thinking enough to use all sources of available data to provide a better return then they are doing their job and earning their fee. On the other hand, do the producers of this data (eg consumers) know how their “digital exhaust” is being used? I heard an exec at a company that has a popular weather app boast that they have an enormous real-time location database (which they sell access to). What put a shiver down my spine was when he said “and consumers can’t do anything about it – we capture their location all day every day!”.